The new tick comes with some pretty scary properties. As if we didn’t already have enough ticks and tick-borne diseases, now comes news that a foreign invader has arrived and thrived in New Jersey. 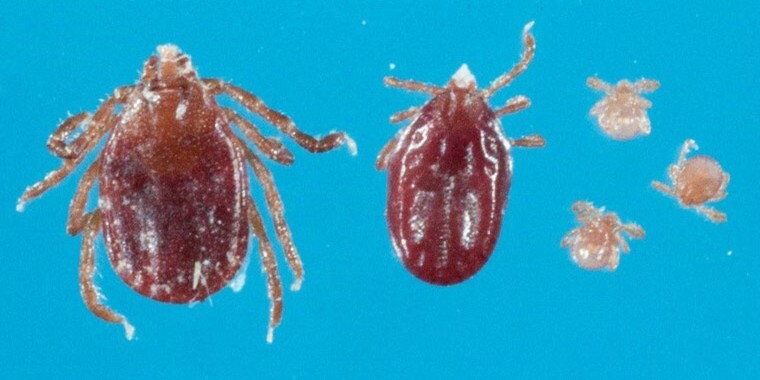 East Asian, or Longhorned, ticks were first discovered in the state last fall when they were found to have infested a sheep in Hunterdon County. While these ticks normally like a warmer climate, they seem to have made it through an especially cold winter just fine. Not only that, but they’ve now also been found in another New Jersey county, according to the state veterinarian, Dr. Manoel Tamassia. In February, Rutgers University scientists found the ticks in both Union and Hunterdon Counties, Tamassia said. This could just be the beginning for an especially hardy tick, said James Lok, a professor of parasitology at the University of Pennsylvania School of Veterinary Medicine. Lok expects the ticks will make it over the Delaware River and migrate westward. “I would be surprised if it does not spread out of New Jersey quickly,” he said, noting the tick has already migrated great distances to get from Asia to Australia and New Zealand, and now to New Jersey. This new — to America — tick comes with some pretty scary properties. For one thing, females can reproduce on their own, so one female by herself could produce thousands of eggs, Tamassia said. It means that for the little invaders to migrate and get a toe-hold here would take just one female hitching a ride on a traveler, or traveler’s pet, coming from Asia, Australia or New Zealand. Another rather special trait: these ticks don’t seem to care what they bite. Unlike deer ticks that in the nymph stage prefer a certain kind of mouse to feed on, Asian tick nymphs will feast on any little critter that crosses their paths. The same is true of the adults. So it doesn’t matter whether the adult tick latches onto a deer, a cow, a sheep — or a human. Making the tick even more unwelcome is its ability to carry and spread a host of diseases. While experts don’t know for sure yet which North American diseases the tick can transmit, it has been shown in Asia to spread diseases related to Rocky Mountain spotted fever and anaplasmosis. “It’s got a pretty terrible track record in China, Japan and recently in New Zealand and Australia,” Lok said. “And it’s not a stretch to assume it would be able to transmit the related diseases in North America.” There’s already evidence the long horn tick can transmit Lyme disease, Lok said. In Asia, this type of tick also transmits a very scary disease that causes severe fever and low platelet counts. But that disease hasn’t been seen in North America, said Dr. John Aucott, an associate professor of medicine at the Johns Hopkins University School of Medicine. "Our tick awareness and preventive behavior should be like wearing a seat belt in a car"
The good news is that standard insecticides seem to work well against the ticks, Tamassia said. New Jersey is doing its best to eradicate the little blood-sucking pests in the two areas where they have been found. The first tick checked for diseases turned up negative for all. For now, people should be taking the same precautions against this tick as they do with all the native ones, Aucott said. “Our tick awareness and preventive behavior should be like wearing a seat belt in a car,” he adds. Wearing long pants along with socks and shoes. Treating clothing with the insecticide permethrin. Being careful about brushing up against wooded vegetation: ticks like to climb on things about knee height. Checking yourself for ticks any time you’ve been out where there the nasty bugs like to dwell. Showering when you come in from an area where you might have come in contact with ticks.